BritePlus MX is the choice for superior cleaning of natural, brushed and painted aluminum and stainless steel. Brite Plus MX cleans and brightens faded and oxidized aluminum. BritePlus MX cuts through yellow stains, black streaks, haze and other discolorations. BritePlus MX even works great on painted surfaces. BritePlus is the stronger of the two products. While it’s designed for metal, we’ve had great results on painted FRP trailers with aluminum trim, like the Hart trailer shown below. BritePlus MX is ready to use — and it’s simple. Prep by spraying or washing off surface dirt. Apply BritePlus MX with a garden sprayer. Agitate the cleaner on the surface with a cloth, sponge or brush. And that’s it—the results are remarkable! BritePlus MX works great on trailers and other equipment, new and old. 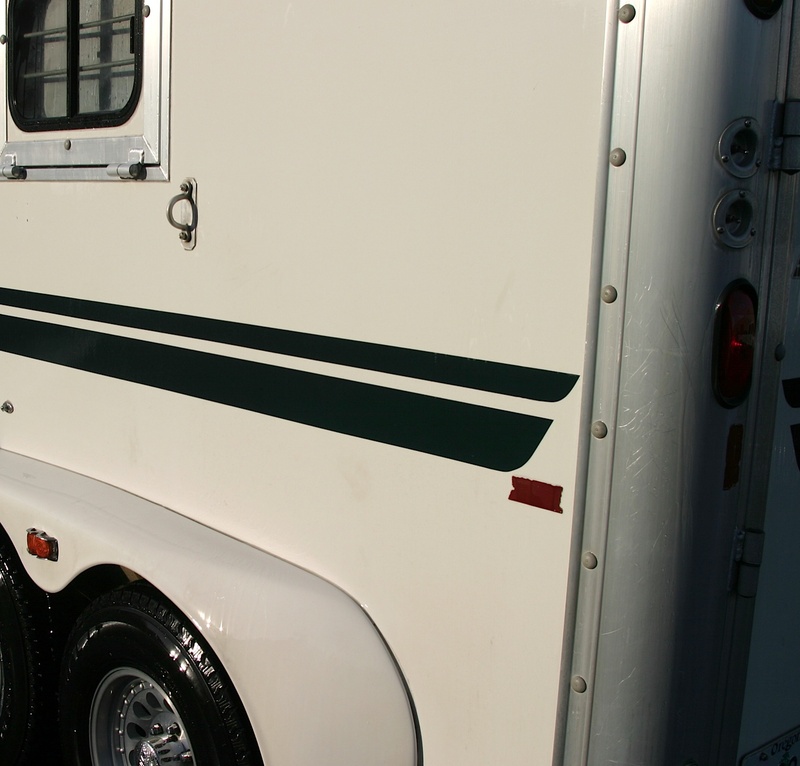 BritePlus MX is an economical, and highly effective, pre-mixed solution for cleaning stained and oxidized aluminum trailer—painted or not. From tractor-trailers, to horse trailers, cattle and stock trailers, tankers, engine compartments, wheels and much more. A 2.5 gallon container is normally enough product to clean a 20 foot trailer twice. BritePlus MX makes sense. Commercial grade truck & trailer cleaning at home. BritePlus MX is the heavy-duty aluminum trailer cleaner you can count on. And not just for trailers! Just remember: BritePlus MX can dull and/or whiten polished surfaces—so choose SILVER BritePlus MX for shiny and mirror-finish applications. BriteWash is a concentrated detergent cleaner. It works great on its own for normal cleaning mixed with water. BriteWash is designed to work in combination with BritePlus & Silver BritePlus products. BriteWash is brushed/scrubbed directly on the cleaning surface WITH the BritePlus MX (or Silver BritePlus MX). It’s this second step that makes the difference. The mixture creates a chemical reaction that boosts the cleaning and neutralizes the acidity of BritePlus and Silver BritePlus. Spray on the BritePlus (or Silver BritePlus), scrub—then add the BriteWash and scrub some more. When you rinse you’ll be amazed! 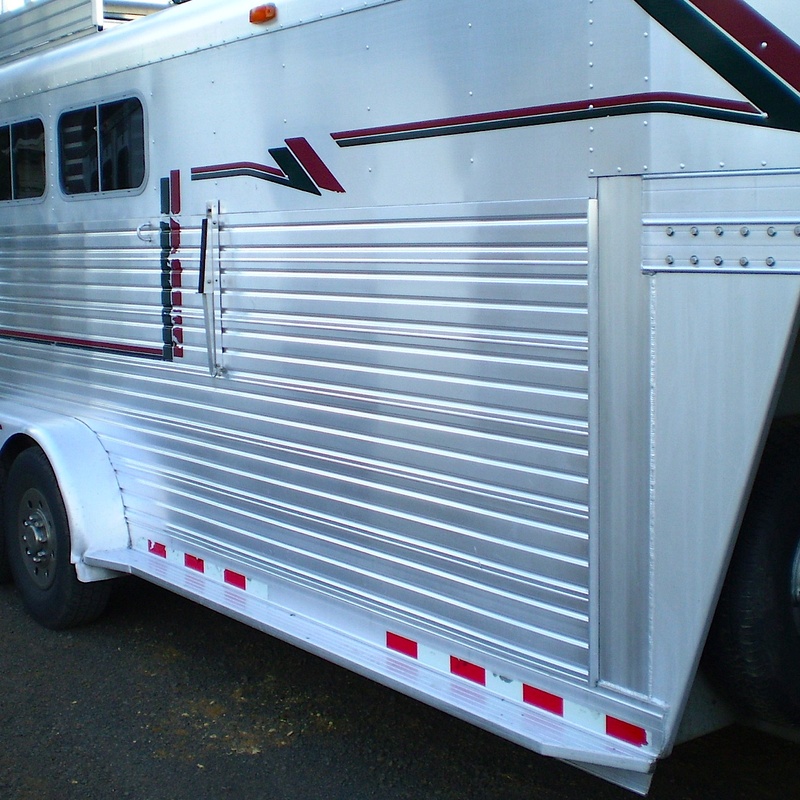 Have a horse trailer? Travel with your horses? Be sure to check out our Corrals 2 Go! Portable Corral Panels for horses.